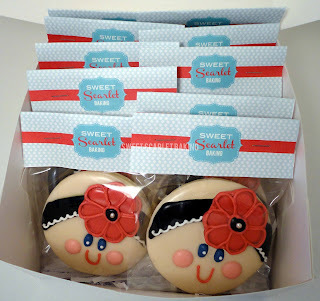 Aren't these babies sweet?! 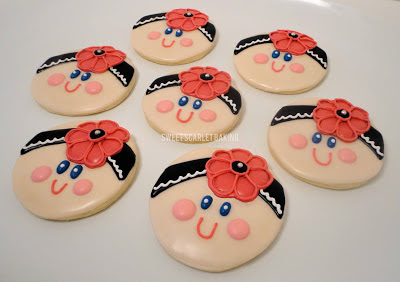 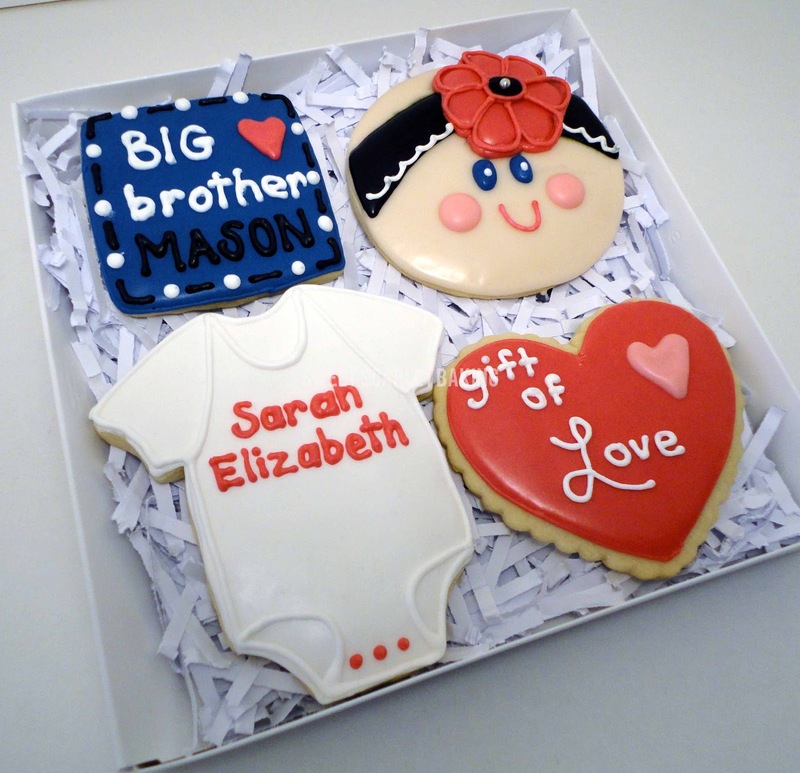 My customer asked me to make these baby face decorated sugar cookies for a baby shower she was hosting. She requested the faces based on this design from Taija at Sweet Shoppe, but matching her theme of dark pink and black. The babies went home with the baby shower guests as party favors. 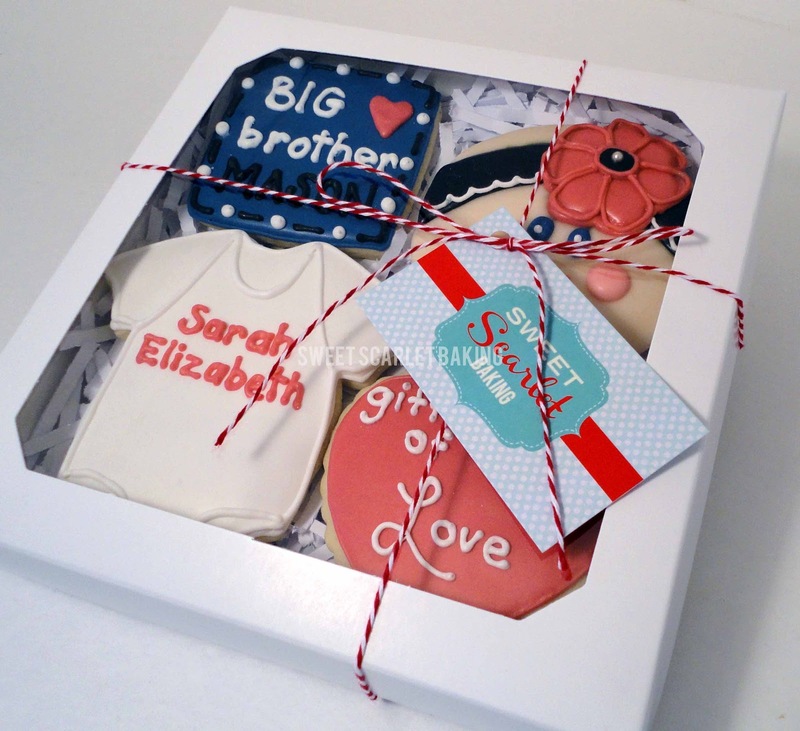 The expecting mama and her family received this special gift box, as well.